Melanged Magic: I Can't Help Myself! which is not called a baguette here, but rather a flute. I can't help myself! 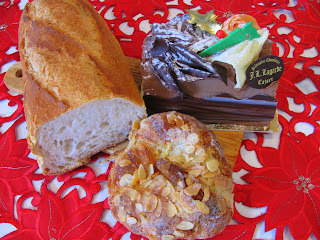 The almond croissant will be for Christmas breakfast. And the piece of chocolate buche noel? 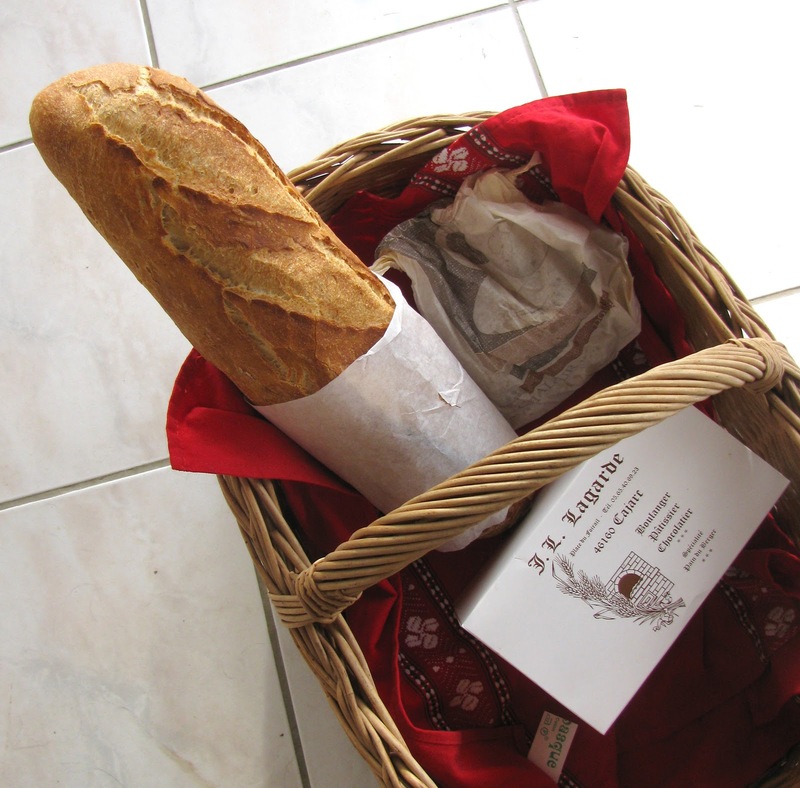 It's for blog research...another new taste of France for me to share with you. Oh, I see now...it's your fault. I had to wait 15 minutes to be served in our boulangerie today while the French customers chose their bûche de Noël. In the Cantal a flute is more like a piccolo! Interesting how it varies. Merry Christmas, Joyeux Noël.